This article is about the two large migrations of c. 1690 and 1737–39. For other migrations, see Demographic history of Serbia. For Paja Jovanović's history painting, see Migration of the Serbs. The Great Migrations of the Serbs (Serbian: Velike seobe Srba/Велике сеобе Срба), also known as the Great Exodus of the Serbs, refers mainly to two large migrations of Serbs from the Ottoman Empire to the Habsburg Monarchy. 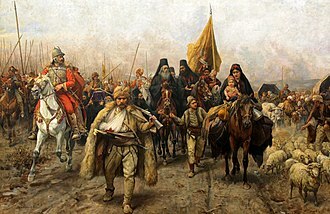 The First Great Migration occurred during the Great Turkish War under Serbian Patriarch Arsenije III Čarnojević, and came as a result of the Habsburg retreat from Ottoman territories in the Balkans, which were temporarily held by the Habsburgs between 1689 and 1692. The Second Great Migration took place in 1737–1739 under the Serbian Patriarch, Arsenije IV Jovanović, also parallel with the Habsburg withdrawal from territories that they held in the Balkans, which between 1718 and 1739 were known as the Kingdom of Serbia and Banat of Temeswar. The masses of earlier migrations from the Ottoman Empire are considered ethnically Serb, while those of the First Great Migration nationally Serb. The First Great Migration brought the definitive indicator of Serbianness, Orthodox Christianity and its leader, the patriarch. According to Srpsko Kulturno Društvo Prosvjeta, the influx of Serbs to the Habsburg Monarchy, constant since the fall of Serbian Despotate in the late 15th century, gained more momentum following the Statuta Valachorum act of 1630, by which the Habsburgs encouraged their settlement in the Military Krajina region. Some Serbian historians, citing a document issued by Emperor Leopold I in 1690, claim that the masses were "invited" to come to Hungary. The original text in Latin shows that Serbs were actually advised to rise up against the Ottomans and "not to desert" their ancestral lands. Serbs crossing the river for Austrian territory. During the Austro-Turkish war (1683–1699) relations between Muslims and Christians in the European provinces of the Ottoman Empire were extremely radicalized. As a result of the lost rebellion and suppression, Serbian Christians and their church leaders, headed by Serbian Patriarch Arsenije III sided with the Austrians in 1689. Albanian Catholics were also part of the exodus. 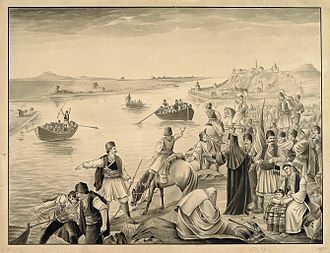 In 1690, Emperor Leopold I allowed the refugees gathered on the banks of the Sava and Danube in Belgrade to cross the rivers and settle in the Habsburg Monarchy. He recognized Patriarch Arsenije III Čarnojević as their spiritual leader. The Emperor had recognized the Patriarch as deputy-voivode (civil leader of the migrants), which over time developed into the etymology of the northern Serbian province of Vojvodina (this origin of the name of Vojvodina is related to the fact that patriarch Čarnojević and subsequent religious leaders of Serbs in the Habsburg Monarchy had jurisdiction over all Serbs in the Habsburg Monarchy, including Serbs of Vojvodina, and that Serbs of Vojvodina accepted the idea of a separate Serbian voivodeship in this area, which they managed to create in 1848). In 1694, Leopold I, Holy Roman Emperor appointed Arsenije III Čarnojević as the head of the newly established Orthodox Church in the Monarchy. The patriarchal right of succession was secured by the May Assembly of the Serbian people in Karlovci in 1848, following the proclamation of Serbian Vojvodina during the Serbian revolution in Habsburg lands 1848–49. Serbs received privileges from the Emperor, which guaranteed them national and religious singularity, as well as a corpus of rights and freedoms in the Habsburg Monarchy. The fall of the Habsburg Kingdom of Serbia (1718–1739) to the Ottomans triggered the Second Serb migration into the (rest of the) Habsburg Monarchy. The Second Serb migration from 1739 was of much smaller extent than the first one from 1690 and most of the refugees from the second migration settled in Syrmia. 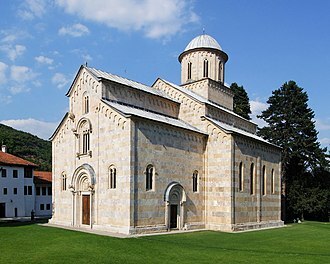 37,000 families into Habsburg Monarchy, according to a manuscript at Šišatovac monastery written by monk Stefan of Ravanica 28 years after the first wave. 37,000 families, according to a book by Pavle Julinac, printed in 1765. 37,000 families led by the Patriarch, according to Jovan Rajić, published in 1794–95. 37,000 families led by the Patriarch, according to Johann Engel, published 1801. Émile Picot concluded that it was 35,000 to 40,000 families, between 400,000 and 500,000 people. "It is a constant tradition that this population is counted by families, not by heads" also insisting that these were large extended families (see Zadruga). The Serbian Academy of Arts and Sciences, supports the figure of 37,000 families. Tatjana Popović, cites as many as 60,000 Serbian migrant families for the First Serbian migration alone. At least 30,000 people, according to Stevan K. Pavlowitch. 20,000–30,000 people, according to "Teatri europei". According to Noel Malcolm, two statements from Arsenije survive. In 1690 he wrote "more than 30,000 souls", and six years later he wrote that it was "more than 40,000 souls". Malcolm also cites Cardinal Leopold Karl von Kollonitsch's statement from 1703 of more than 60,000 people led by the Patriarch from Belgrade to the Kingdom of Hungary, a figure Malcolm claims Kollonich may have been inclined to exaggerate. According to Noel Malcolm, data that state that 37,000 families participated in this migration derive from a single source: a Serbian monastic chronicle which was written many years after the event and contains several other errors. Serbs from these migrations settled in parts of present-day Hungary, Vojvodina, and Croatia (they settled as far in the north as the town of Szentendre in Hungary, in which they formed the majority of population in the 18th century). To a smaller extent, they also settled in the town Komarno in Slovakia. The large Serb migrations from Balkans to the Pannonian plain started in the 14th century and lasted until the end of the 18th century. 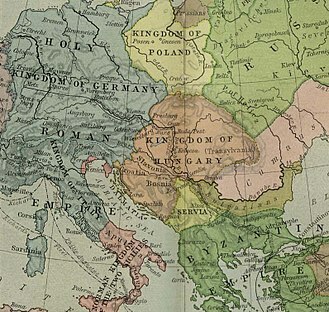 The great migrations from 1690 and 1737–39 were the largest ones and were important reason for issuing the privileges that regulated the status of Serbs within Habsburg Monarchy. The Serbs that in these migrations settled in Vojvodina and Slavonia increased (partly) the existing Serb population in these regions and made the Serbs an important political factor in the Habsburg Monarchy over time. Wikimedia Commons has media related to Great Migrations of the Serbs. ^ Ćirković 2004, pp. 143-148. ^ Ćirković 2004, pp. 154. ^ Nicholas J. Miller (15 February 1998). Between Nation and State: Serbian Politics in Croatia Before the First World War. University of Pittsburgh Pre. p. 13. ISBN 978-0-8229-7722-3. ^ Sabrina P. Ramet (8 December 2005). Thinking about Yugoslavia: Scholarly Debates about the Yugoslav Breakup and the Wars in Bosnia and Kosovo. Cambridge University Press. p. 206. ^ Malcolm, Noel. A Short History of Kosovo. p. 161. ^ Stanojevic, Ljubomir. (ed) Stari srpski zapisi i natpisi, vol 3, Beograd 1905, 94, no 5283: "37000 familija"
^ Pavle Julinac, Kratkoie vredeniie v istoriiu proikhozhdeniia slaveno-serbskago naroda. Venetiis 1765 (ed. Miroslav Pantic, Belgrade, 1981), p. 156: numbers derived from an official Imperial report to Vienna. ^ Engel, Johann Christian von, Geschichte des ungrischen Reichs und seiner Nebenländer, vol. 3. Halle 1801, 485: "37000 Serwische Familien, mit ihrem Patriarchen"
^ Aleksandar Protić, Još koja o istom, Seoba u sporovima, Novi Sad, 1991, page 91. ^ Noel Malcolm, Kosovo - a short history, Pan Books, London, 2002, page 161. 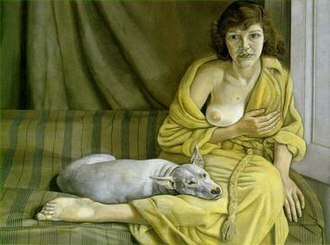 Ćorović, Vladimir (2001) . "Velika seoba Srba u Austriju". Istorija srpskog naroda. Projekat Rastko. Tomić, Jov. N. (1902). "Deset godina iz istorije srpskog naroda i crkve pod Turcima (1683-1693)". Ćorović, Vladimir (2001) . "Velika seoba Srba u Austriju". Istorija srpskog naroda. Ars Libri; Rastko. Ivić, Aleksa (1929). Istorija srba u Vojvodini. Novi Sad: Matice srpska. Ivić, Aleksa (1914). Историја Срба у Угарској: од пада Смедерева до сеобе под Чарнојевићем (1459-1690). Zagreb: Привредникова. Popović, Dušan J. (1957). Srbi u Vojvodini (1): Od najstarijih vremena do Karlovačkog mira 1699. Matica srpska. Tomić, Jov. 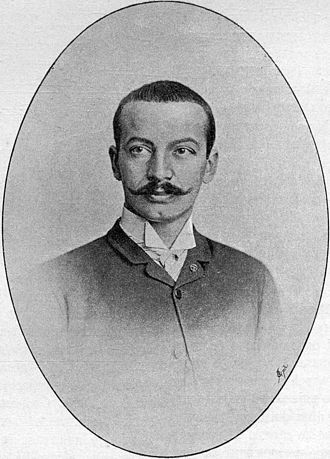 N. (1902). Deset godina iz istorije srpskog naroda i crkve pod Turcima (1683-1693). Migrations in Balkan History. Serbian Academy of Sciences and Arts, Institute for Balkan Studies. 1989. ISBN 978-86-7179-006-2. Trifunoski, Jovan (1990). "VELIKA SEOBA SRBA U NARODNIM PREDANJIMA IZ MAKEDONIJE" (PDF). Etnološke sveske. 11: 54–61. Gavrilović, Vladan (2016). "EXAMPLES OF SERBIAN MIGRATIONS TO HUNGARIAN PROVINCIAL DISTRICTS 1699-1737". ISTRAŽIVANJA. 25: 139–148. Jovan Nenad is attributed by Serbian historians as the founder of Vojvodina and the leader of the last independent Serbian state before the Ottoman conquest. A Serb, he was born ca.1492 in Lipova near the Mureş River in northern Banat and he was of medium height and highly moral and pious. In the Battle of Mohács on 29 August 1526, the Ottoman Empire destroyed the army of Hungarian-Czech King Louis Jagellion, a part of this struggle was the leader of Serb mercenaries, Jovan Nenad. Right after Mohács, Jovan Nenad appeared between Tisza and Danube as a leader of a Serb regiment and he quickly drove the Ottomans from Bačka and parts of Banat and Syrmia, which he ruled independently. 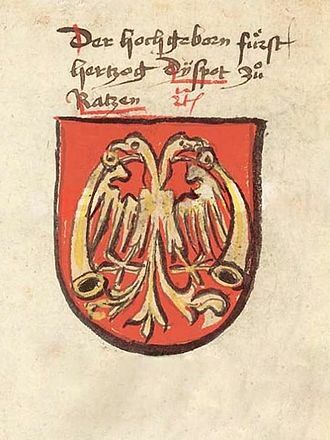 At first he sided with the Zapolyai, after the Hungarian nobility of Bačka estranged him from John Zápolya, he decided to support the Habsburg pretender, Ferdinand, in the beginning of 1527. The conflict with the Hungarian nobility arose when Hungarian refugees were refused to return to Bačka, which Nenad saw as his. He named Radoslav Čelnik the general commander of his army, while his emissaries to foreign rulers were Fabijan Literat, a Franciscan from Ilok, Ivan Dolić and his treasurer and palatine was Subota Vrlić from Jagodina. Besides his main army, he organized a personal guard numbering 600 soldiers. His army grew by drawing Serbs from Ottoman territory, Vlachs from Banat and Transylvania, and some Roman Catholics and it is believed that the cooperation of Orthodox and Catholic Slavs was the key of his success. By the time of the reign of Jovan Nenad, Serbs had already considerable populations in the southern Pannonian Plain, most notably in the Danube and Tisa regions. Jovan Nenad considered the struggle around the Hungarian throne just a temporary occupation, in the first half of 1527, Ferdinand was outside of Hungary, preparing for what would become the Hungarian campaign of 1527–28 to fight Zápolya. During that time, King Zápolya sent armies after Jovan Nenad, underestimating Nenads strength, Zápolya sent 300 knights under László Csáky, which were defeated by Jovan Nenad in early April, Csáky himself was captured and executed. After this, Jovan Nenad rose to the peak of his power, another Hungarian army was dispatched, led by the Voivode of Transylvania, Péter Perényi. It was defeated by late April near Tiszaszőlős on the banks of the Tisza river, in an attempt to unite with the forces of Ferdinand, Jovan Nenad was severely wounded in Szeged. In his retreat towards Senta, he was intercepted and murdered in the village of Tornjoš, Jovan Nenads head was delivered to Zápolya and soon after his death the remainder of his army dispersed, which was the end of Jovan Nenads liberation movement. After Jovan Nenads death his general Radoslav Čelnik led the remains of the army to Ottoman Syrmia, where he ruled until 1530 as an Ottoman vassal, as time passed, Jovan Nenad became a mythical figure to the Serbs. Many Serbian historians consider him the founder of contemporary Vojvodina, although in reality his insurrection was too short-lived, the provinces second largest city erected a monument to him bearing the inscription Your thought has prevailed. The Kingdom of Serbia, or Serbian Kingdom, was a medieval Serbian state that existed from 1217 to 1346, ruled by the Nemanjić dynasty. 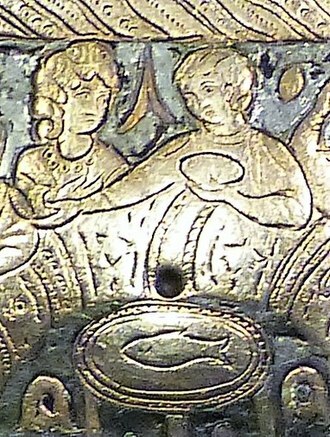 The Grand Principality of Serbia was elevated with the coronation of Stefan Nemanjić as king by his brother, bishop Sava, after inheriting all territories unified by their father, the kingdom was proclaimed an empire on 16 April 1346. Each province had its own nobility and institutions, and each acquired a member of the Vojislavljevići to head as Župan, the Byzantine Empire launched a campaign on Duklja between 1089 and 1091 and possibly captured Bodin. 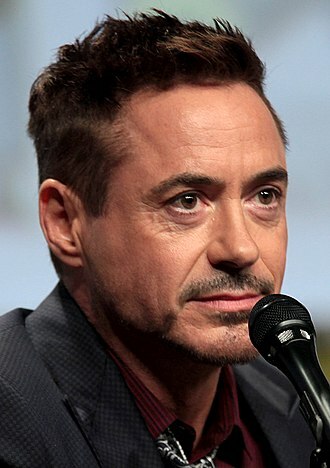 A civil war broke out in the realm among Bodins relatives, Vukan took the opportunity to assert himself and broke away, claiming the title of Grand Prince of Serbia. Rascia and Zahumlje all became independent in 1091, up to this point, Duklja had been the center of the Serbian realm, as well as the main resistance to Byzantium in the Balkans. After 1091 Rascia became the most powerful of the Serbian states, under the rule of the Vukanović dynasty, Rascia replaced Duklja as the main opponent of Byzantine rule in the 12th century. Bodins heirs were forced to recognize Byzantine overlordship, and now only the small territories of Duklja. During the reign of Vukans son Uroš I, the Byzantines invaded Duklja and sought to conquer Rascia as well, Uroš II initially fought the Byzantines, but he gave oaths of servitude to the Emperor after he was defeated in war. Stefan Nemanja was succeeded by his middle son Stefan, whilst his first-born son Vukan was given the rule of the Zeta region, Stefan Nemanjas youngest son Rastko became a monk and took the name Sava, turning all his efforts to spreading religion among his people. In Byzantium, Sava managed to secure autocephaly for the Serbian Church, in the same year Sava published the first constitution in Serbia — St. Savas Nomocanon. The Nomocanon was a compilation of Civil law, based on Roman Law and its basic purpose was to organize the functions of the young Serbian kingdom and the Serbian church. Thus the Serbs acquired both political and religious independence, the next generation of Serbian rulers — the sons of Stefan Prvovenčani, Radoslav and Uroš I — marked a period of stagnation of the state structure. Moravian Serbia is the name used in historiography for the largest and most powerful state to emerge from the ruins of the Serbian Empire. In 1403 it was raised to the Serbian Despotate, which would exist until 1459, Moravian Serbia was established in 1373 and attained its largest extent in 1379 through the military and political activities of its first ruler, Prince Lazar Hrebeljanović. The name Moravian Serbia should not imply that the state was affiliated in any way with the region of Moravia in the present-day Czech Republic. The adjective Moravian in this sense refers to the fact that the state comprised the basins of the Great Morava, West Morava, and South Morava rivers. Lazar Hrebeljanović was born in around 1329 in the fortress of Prilepac, near the town of Novo Brdo in the region of Kosovo, powerful Serbian nobles became practically independent in the regions they controlled. Lazar left the court Tsar Uroš in 1363 or 1365, and he held the title of prince since at least 1371. His territory initially developed in the shadow of stronger regional lords, the strongest were the Mrnjavčević brothers, Vukašin and Jovan Uglješa. They were defeated and killed by the Ottoman Turks in the Battle of Mariča in 1371, Lazar and Tvrtko Kotromanić, the Ban of Bosnia, jointly defeated in 1373 another strong noble, Nikola Altomanović. Most of Altomanovićs territory was acquired by Lazar, about that time, Lazar accepted the suzerainty of King Louis I of Hungary, who granted him the region of Mačva, or at least a part of it. With all these gains, Lazar emerged as the most powerful Serbian lord. The state he created is known in historiography as Moravian Serbia. Moravian Serbia attained its full extent in 1379, when Lazar took Braničevo and Kučevo, Lazars state was larger than the domains of the other lords on the territory of the former Serbian Empire. It had an organized government and army. The state comprised the basins of the Great Morava, West Morava and its north-western border ran along the Drina River. Besides the capital Kruševac, the state included important towns of Niš and Užice, as well as Novo Brdo and Rudnik, of all the Serbian lands, Lazars state lay furthest from Ottoman centres, and was least exposed to the ravages of Turkish raiding parties. The Triballi were a Thracian tribe that received influences from Celts and Illyrians. In 424 BC, they were attacked by Sitalkes, king of the Odrysae and they were pushed to the east by the invading Autariatae, an Illyrian tribe, the date of this event is uncertain. In 339 BC, when Philip II of Macedon was returning from his expedition against the Scythians, hostilities took place, in which Philip was defeated and wounded by a spear in his right thigh, but the Triballi appear to have been subsequently subdued by him. 3,000 Triballi were killed, the rest fled and their king Syrmus took refuge on the Danubian island of Peukê, where most of the remnants of the defeated Thracians were exiled. They were attacked by Autariatae and Celts in 295 BC, the punishment inflicted by Ptolemy Keraunos on the Getae, induced the Triballi to sue for peace. About 279 BC, a host of Gauls under Cerethrius defeated the Triballi with an army of 3,000 horsemen and 15,000 foot soldiers, the defeat pushed the Triballi further to the east. Nevertheless, they continued to cause trouble to the Roman governors of Macedonia for fifty years, the Illyrian Dardani tribe settled in the southwest of the Triballi area in 87 BC. The Thracian place names survives the Romanization of the region Pliny the Elder registers them as one of the tribes of Moesia. In the time of Ptolemy, their territory was limited to the district between the Ciabrus and Utus rivers, part of what is now Bulgaria, their town was Oescus. Under Tiberius, mention is made of Triballia in Moesia, the name occurs for the last time during the reign of Diocletian, who dates a letter from Triballis. 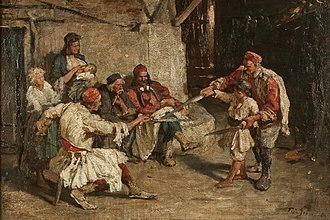 The Triballi were often described as a wild and warlike people, and in Aristophanes, the term Triballians appears frequently in Byzantine and other European works of the Middle Ages, referring exclusively to Serbs. Some of these authors clearly explain that Triballian is synonym to Serbian, for example, Niketas Choniates in his history about Emperor Ioannes Komnenos. Shortly after this, he campaigned against the nation of Triballians, or the much Demetrios Chalkondyles, referring to an Islamized Christian noble. The territory of what is now the Republic of Serbia was part of the Ottoman Empire throughout the Early Modern period. 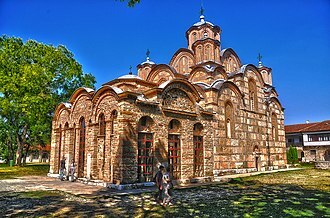 Ottoman culture significantly influenced the region, in architecture, cuisine and dress, especially in arts, in the 14th and 15th centuries, the Serbian Despotate was subdued by the Ottoman conquest of the Balkans. The Ottomans defeated the Serbs at the Battle of Maritsa in 1371, the most powerful of these, Tsar Lazar, a Duke of present-day central Serbia, stood against the Ottomans at the Battle of Kosovo in 1389. The result was indecisive, but it resulted in the subsequent fall of Serbia, Stefan Lazarević, the son of Lazar, succeeded as ruler, but had by 1394 become an Ottoman vassal. In 1402 he renounced Ottoman rule and became an Hungarian ally, in 1453, the Ottomans conquered Constantinople, and in 1458 Athens was taken. In 1459, Serbia was annexed, Greece as well, a year later, several minor and short-lived revolts were conducted against Ottoman rule mostly with the help of the Habsburgs,1594, 1688–1691, 1718–1739 and 1788. In 1799, the took over the Sanjak of Smederevo, renouncing the Sultan. In 1804, they murdered the most notable intellectuals and nobles, in 1813, Serbs suffered a huge defeat, an unsuccessful rebellion followed in 1814, and in 1815 the Second Serbian Uprising began. In 1817, Serbia was de facto independent, the article deals with the history and structure of Serbs in the Ottoman Empire. This battle pitted vassal troops commanded by Prince Lazar against the Turkish Sultan Murad I, according to Serbian folk tradition, the contest ended with the legendary sudden departure of Brankovićs Serbian troops. Obilić himself was executed by the sultans Janissary bodyguards as a response. The Battle of Kosovo defined the fate of Serbia, because after that it had no force capable of standing up to the Turks. This was a period marked by the rule of Prince Lazars son — despot Stefan Lazarević — a true European-style knight, a military leader. Along with his cousin Đurađ Branković, he moved the capital north to the newly built fortified town of Smederevo, the Turks continued their conquest until they finally seized all of northern Serbian territory in 1459 when Smederevo fell into their hands. The Illyrians were a group of Indo-European tribes in antiquity, who inhabited part of the western Balkans and the south-eastern coasts of the Italian peninsula. The first account of Illyrian peoples comes from the Periplus of Pseudo-Scylax, the Illyrian tribes never collectively regarded themselves as Illyrians, and it is unlikely that they used any collective nomenclature for themselves. The term Illyrians last appears in the record in the 7th century. In Greek mythology, Illyrius was the son of Cadmus and Harmonia who eventually ruled Illyria, Illyrius had multiple sons and daughters. From these, sprang the Taulantii, Dardani, Autariates, autareius had a son Pannonius or Paeon and these had sons Scordiscus and Triballus. Even before the advent of post-modernism, scholars recognized a difficulty in producing a single theory on the ethnogenesis of the Illyrians given their heterogeneous nature, scholars traditionally looked for the origins of the Illyrian peoples centuries, even millennia, before their first historical attestation. Following the theories of Gustaf Kossinna, scholars sought to equate tribes mentioned by Greco-Roman historians with preceding Bronze, in particular, scholars such as Julian Pokorny and Richard Pittioni placed the Illyrian homeland within the Luzatian culture, itself an offshoot of the trans-Central European Urnfield culture. From c.1200 BC, the bearers of the Lausitz culture are said to have engaged in widespread migrations throughout Europe. With regard to the Balkans, their movement south in turn initiated the Dorian migrations into southern Greece and these Pan-Illyrian theories have since been dismissed by scholars, based as they were on racialistic notions of Nordicism and Aryanism. The above theories have found little archaeological corroboration, as no convincing evidence for significant migratory movements from the Luzatian culture into the west Balkans have ever been found. Rather, archaeologists from the former Yugoslavia highlighted the continuity between the Bronze and succeeding Iron Age, ultimately developing the so-called autochthonous theory of Illyrian genesis, the autochthonous model was most elaborated upon by Alojz Benac and B. They argued that the proto-Illyrians had arrived earlier, during the Bronze Age as nomadic Indo-Europeans from the steppe. From that point, there was a gradual Illyrianization of the western Balkans leading to historic Illyrians and he did not deny a minor cultural impact from the northern Urnfield cultures, however these movements had neither a profound influence on the stability. 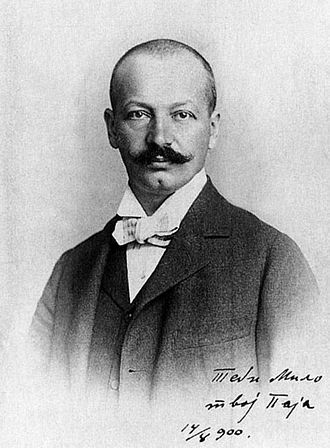 Of the Balkans, nor did they affect the ethnogenesis of the Illyrian ethnos, aleksandar Stipčević raised concerns regarding Benacs all-encompassing scenario of autochthonous ethnogenesis. They rather see the emergence of historic Illyrians tribes as a recent phenomenon - just prior to their first attestation. The exception to this are the communities in Glasinac and Mati, the impetus behind the emergence of larger regional groups, such as Iapodes, Pannonians etc. is traced to increased contacts with the Mediterranean and La Tène global worlds. This catalyzed the development of complex political institutions and the increase in differences between individual communities. The Realm of Stefan Dragutin was a medieval Serb kingdom. Initially, it was a kingdom of the Kingdom of Hungary. It was ruled by the Serbian kings Stefan Dragutin and his son Stefan Vladislav II, the kingdom was centered in the region of Lower Syrmia and its first capital was Debrc, while residence of the king was moved to Belgrade. In the Middle Ages, Syrmia was the name for an area around the river Sava. 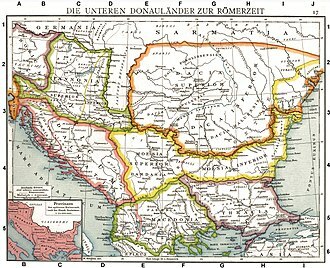 The part in the north of Sava was known as Upper Syrmia, the kingdom was centered in Mačva, but included Belgrade, part of Šumadija with Rudnik, and the counties of Podrinje, Soli, Braničevo and Kučevo. 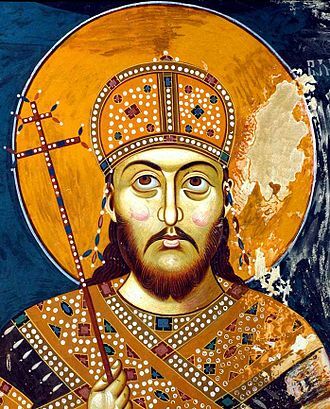 According to several Serbian historians, the kingdom included Upper Syrmia, Stefan Dragutin was initially the king of Serbia from 1276 to 1282. The first capital of his state was Debrc, and he moved his residence to Belgrade, Dragutin was the first Serb ruler who ruled from Belgrade as the capital. For the first time, that became part of the Serbian state. This action probably caused the war between the Bulgarian despot Shishman of Vidin and Milutin, near the end of his life Stefan Dragutin separated from his Hungarian friends and strengthened his connections in Serbia. Ottoman Army during the Siege of Belgrade (1456). Ottoman miniature depicting the execution of Serbian rebels in Belgrade. Jovan Nenad monument in Subotica. Independent Dalmatia - Extent of Marcellinus' Control (454-468) and Julius Nepos' Control (468-480). Destruction of the Serbian Empire on Kosovo.